HomeThe HypeVideogames – A hobby or unhealthy obsession? 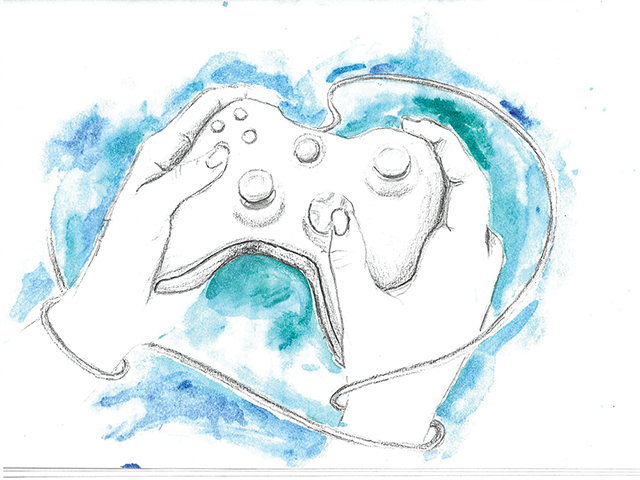 Videogames – A hobby or unhealthy obsession? Since the 1970s, when the first ever arcade video game Computer Space was unveiled to the modern world, videos games have become an integral part of our society. According to a recent study 1.2 billion people worldwide would consider themselves gamers and Ireland spends roughly €206 million on video games a year. Video games have now become a new art medium with ground-breaking 3D animation and design that mirrors reality. Gone are the Space Invaders days and in its place, there’s an innovative mode of storytelling that directly involves its audience in a way that a pantomime can only dream of. In video games, one is immersed first hand into the story and players can sometimes change the course of the plot by choosing options presented to them by the game. The hobby has also proven to have a positive effect on the developing skills of children with many games sharpening their problem solving and logic skills. A study by Michigan State University found a relation between children playing video games and a higher sense of creativity. With the introduction of online gaming, video games have connected people across the world and are the building blocks of friendships that overlook borders. It doesn’t matter if oceans separate them physically, in game they can connect on a personal level. However, there is a dark side to an industry that is entirely built on fun. For years, concerned parents have voiced their worries over the violence shown in video games and fear that this may influence their young, impressionable children. Despite there being no evidence of a link between video games and criminal violence, psychologists have noticed a “consistent correlation” between violent video games and aggression among its players. If one where to search the words “toxic community” on google, the first page is made up entirely of different sites talking about how unpleasant the online community for different video games are. This is clearly evident in the #GamerGate conundrum that occurred a few years ago where women were consistently harassed, sent death threats and stalked over their critique of video games from a feminist perspective. Excessive playing of video games can lead to a number of different medical problems, such as carpel tunnel syndrome. Experts have also noted that the playing of video games can have a negative effect on school performance and there have been cases of social isolation, gamers opting to stay inside all day instead of interacting with the outside world. Are video games a hobby or an unhealthy obsession? Like everything else, it’s probably best in moderation. There’s nothing distinctly harmful about video games on their own and the aggression found in the communities could honestly be a reflection on the people themselves rather than the games they play. However, it’s probably best to keep an eye on how many hours one spends on their X-Box a day and to ensure that they’re living a healthy and happy life away from the computer screen.